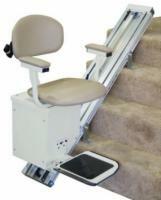 Electric-powered stair lifts plug directly into your home's electrical outlet for a smooth, whisper-quiet ride. 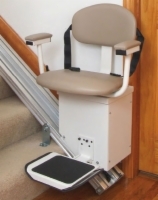 Enjoy the convenience of an AC stairlift from AmeriGlide, the industry leader in producing safe, cost-effective home mobility solutions. For more information about any product featured on our website, please call us at 1 (866) 488-9802. You can also contact us via email, and we'll respond to your query by your choice of telephone or email. 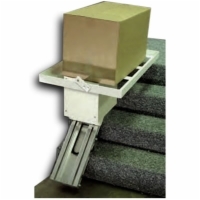 Check the Compare check boxes next to the Electric Stair Lifts you wish to compare.